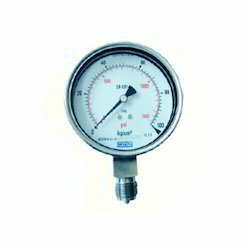 Leading Wholesale Trader of wika pressure gauges, wika bimetal thermometers, pressure gauges, process connection gauges and pressure gauges with switch from Pune. 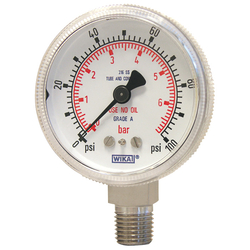 Our company has set a well-known name and reputation with its past several years of supreme Quality services of Distributor & Supplier superior quality of Wika Pressure Gauges. These are available to our clients with different styles and sizes. 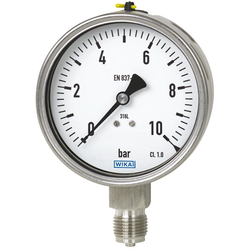 These are used to separate pressure gauges, switches and transmitters from congestion and corrosive medium of stainless steel and are sufficient to meet the demands of most of the applications. Along with several other kinds of engineered products we are also Distributor & Supplier of Wika Bimetal Thermometers. These are made of excellent quality stainless steel in different designs and are valued for having reliable presentation and durability. These connections and gauges are mounted silver from the back and are used in different applications area. 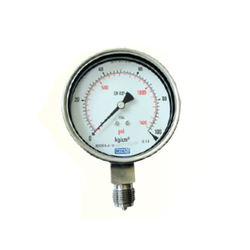 These are suitable for rising to bourdon tube pressure gauges and force transmitters. 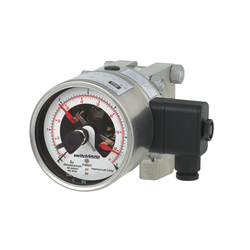 Along with several other kinds of engineered products we are also Distributor & Supplier Sterile Process Connection Gauges. These are made of excellent quality stainless steel in different designs and are valued for having reliable presentation and durability. These connections and gauges are mounted silver from the back and are used in different applications area. These are suitable for rising to bourdon tube pressure gauges and force transmitters.